The July 2012 edition of Wiltshire magazine featured an article by JB Personal Training's Julie Boyle with advice to improve the wellbeing of the county's office workers. Entitled "9 to 5 Office Shake-up", the published article offers practical tips to integrate into your daily office routine. 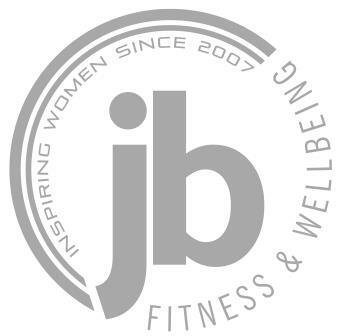 "Julie Boyle is 42 going on 24 and runs JB Personal Training. She helps people become fitter, enhance their wellbeing, lose weight or improve their sports performance. She was previously a fitness adviser for Swindon’s RWE NPower and has a background in sports therapy. She is also a qualified rugby coach and has worked with Swindon’s Supermarine RFC. In the town, Julie is known for her early morning boot camps – where participants undertake a 14-week programme of fitness before going to work. She can often been seen leading exercise classes in the open air at Lydiard Park. She was brought up in Wiltshire, attending Wootton Bassett School but moved around as her father was in the RAF. She now lives just outside Swindon with her civil partner, Shona, herself a fitness trainer and former international rugby player. • 9am: Break the Fast from sleeping with breakfast and a glass of water. Once awake, sugars are low and the brain needs to be fed. Breakfast stabilises blood sugars, water is essential for rejuvenating skin and it eliminates toxins as well as filling you up. • 10am: Avoid office doughnuts, cakes and biscuits. There’s always a celebration or meeting to attend but say ‘No!’ to these snacks. These foods send your sugars sky-high and quickly down again, plus they add unwanted calories. • 11am: Make a point of getting off your chair as it’s doing you no favours. Talk to your work colleagues and avoid e-mails or the phone for a while. • 12pm: It’s exercise time. Get active outside in the fresh air after being indoors all morning. Many companies offer free running or walking clubs. These will fire up energy levels and metabolism ready for lunch. • 1pm: Lunch – as you will be hungry from all that fresh air. It’s important to maintain your sugar levels by choosing healthy fresh food with plenty of colour. Avoid fizzy drinks, chips, batter and white bread as these will cause bloating and will drain energy. • 2pm: Instead of reaching for another coffee, try herbal tea or water, which help you stay alert and ahead of the game. Caffeine fixes offer artificial highs and will increase blood pressure. • 3pm: Avoid the dreaded 3pm slump. Step away from the vending machine, choose a piece of fruit, a vegetable snack pack, small yoghurt or a few almonds. • 4pm: Check your posture as by now you have sat for a long time. Sit tall, shoulders back, both feet flat on the floor. Stretch your posture to ease tension. • 5pm: Cycle or walk home now it’s lighter and warmer. Both will loosen joints and muscles, raise your heart rate while improving fitness. You’ll also save a fortune on petrol."